Anyone who wants to extend the shelf life of their food should consider getting a vacuum sealer. Vacuum-sealing removes most of the oxygen around food, slowing the deterioration process caused by aerobic bacterial growth. Most makers of vacuum sealers estimate that the shelf life of vacuum-sealed food is three to five times longer than the normal storage time, whether it’s refrigerated or frozen. Read on for my guide on shopping for and using a vacuum sealer, along with my recommendations of the best vacuum sealer machines in a variety of categories. Why Use a Vacuum Sealer? Save (Serious) Money On Groceries! If you frequently buy or store food in bulk, vacuum-sealing provides a far more secure way to portion and package it than using containers, plastic wrap, or zip-top bags. If you seal raw proteins (such as meat, poultry, and seafood) before freezing them, you’ll keep freezer burn at bay longer. Vacuum-sealing is the best way to package and preserve bulk purchases. Normally, raw frozen meats can be stored safely for about six months to a year, but vacuuming removes about 99 percent of the air, so that meats can last about three years. Michaela Cisney from kitchn offers some excellent tips in her article 5 Ways Your Freezer Can Save You Money (And Time). Even for storing a couple of pounds of ground meat at a time, vacuum-sealing will help prevent oxidation so it retains its color and integrity. Vacuum-sealing is also a convenient way to store fruits and veggies at peak ripeness from your garden or local farmers market. For instance, fresh berries can be frozen and vacuum-sealed to be used for pies in the middle of winter. The absence of air in vacuum-sealed bags also slows the rate at which pantry items, like crackers and nuts, go stale or rancid. Sous Vide, Flash Pickling, Intense Marinating, Oh My! Sous vide, which means “under vacuum” in French, refers to the process of vacuum-sealing food in a bag, then cooking it to a very precise temperature in a water bath. This technique produces results that are impossible to achieve through any other cooking method. You can use a vacuum sealer for several cooking applications, including flash pickling. For delicious sous vide cooking, a vacuum sealer ensures that you get a secure seal on your bagged food before using it in a circulating water bath. You can also use a vacuum sealer with a marinating canister to intensify flavoring for your meat or poultry, or for flash pickling. Tip: Fine Dining Lovers has a great article on The Tricks of Vacuum-Sealed Pickles. Handheld vacuum sealers remove air through a valve on specialty zip-top bags. However, since these models are very small, they have far less vacuum strength than external and chamber vacuum sealers. “It’s difficult to be certain they’re closed, and once they are, a firm jostle can break the seal.” Since valve sealers aren’t highly rated, we opted not to test them for this guide (though most external models we tested include an accessory port that allows for valve-sealing). With external vacuum sealers, you place the lip of the bag opening into a narrow chamber over the seal bar (see the section on how to vacuum-seal a bag below). After you shut the lid and lock it in place, the vacuum pump pulls air directly out of the bag. When most of the air is removed, the seal bar melts the plastic bag shut to seal the contents within. External models require using “quilted” bags so the air can be drawn through the material during the vacuuming process (you can purchase pre-made bags or continuous rolls that you cut to size). And you’ll need additional accessories if you want to seal things like Mason jars. External models have less vacuum power than chamber sealers and are louder. You’ll also usually need to wait 20 to 60 seconds between sealings to avoid overheating the unit. Also, liquids need to be frozen before sealing to prevent moisture from being sucked into the vacuum motor and causing damage to the machine. However – external vacuum sealers are sufficient for most tasks unless you’re planning to portion and package a lot of food at once. External vacuum sealers are by far the most popular choice for home use because they’re relatively small, affordable, and widely available. Chamber Vacuum Sealers – The Cadillac of Sealers! With chamber vacuum sealers, you place the entire bag inside the chamber with its lip positioned over the seal bar. When you close the lid and turn on the vacuum pump, air is sucked out of the chamber, which removes all of the air from the bag. Once the air is removed, the machine heat-seals the bag, the pump stops, and normal air pressure returns to the chamber. Chamber vacuum sealers have powerful motors that are quieter than external sealers. They’re best for extended use because they don’t require as long of a rest time in between sealings. Another advantage is that liquids don’t need to be frozen before sealing. Most models have a chamber large enough to fit 2-pint Mason jars, so they don’t require any additional accessories to seal jars. While chamber models have a lot of advantages over external machines, they can be expensive, heavy, and take up a lot of space. Some also require extra maintenance (such as oil for the pump), and most are intended for professional use. 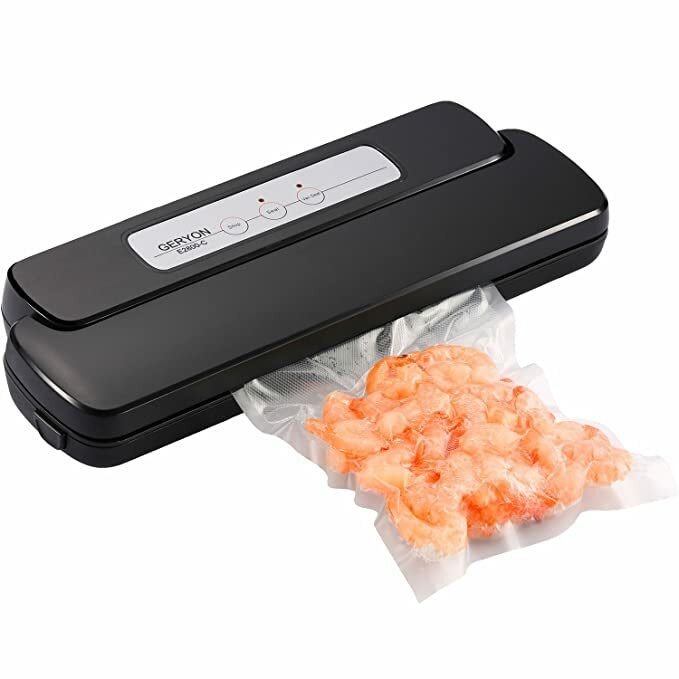 Chamber vacuum sealers are fantastic, but external vacuum sealers are sufficient for most tasks (unless you’re planning to portion and package a lot of food at once). Unless you’re an avid hunter who wants to seal a lot of meat at once, or a commercial enterprise, I recommend getting an external vacuum sealer. Most manufacturers use inches of mercury (inHg) to indicate the vacuum strength of their sealers. The more inHg attained, the stronger the suction will be. Keep in mind, depending on the inHg attainable by your vacuum sealer, it may not function quite as efficiently at higher altitudes due to changes in atmospheric pressure. A manual, or pulse, button is among the most important controls a vacuum sealer should have. It allows you to slowly pulse the vacuum when sealing delicate foods—like berries, chips, and crackers—so you can stop before they’re crushed. You can also freeze some delicate foods, like angel food cake, before sealing them if you don’t want to risk smashing them. I prefer models that have a cancel button, too, which lets you stop the vacuum or sealing cycle at any time. Some models allow you to control the vacuum pressure by switching between gentle or normal pressure. The gentle setting uses less pressure so that you don’t break delicate items like crackers. A normal setting uses full pressure and is best for pantry items like nuts or brown sugar. Other useful controls include moist and dry modes. The moist mode extends the sealing time to ensure an even more secure closure. Dry mode seals as normal. Most external vacuum sealers come with an accessory port to be used for various attachments, which are often sold separately. A tube or handheld sealing attachment connects to the port and can be used for a variety of accessories, including a jar attachment for sealing wide-mouth canning jars, a marinating canister for quickly marinating meats, or bottle stoppers to remove air from opened bottles of wine. Conveniently, the FoodSaver attachments (which are the most widely available of any brand) are compatible with most models. That means that if you decide to get a new machine down the road, you won’t need to purchase an entirely new set of equipment. Chamber vacuum sealers don’t require any extra accessories, like jar attachments, because standard 2-pint Mason jars will fit directly inside the chamber. Also, since you can seal liquids in a chamber vacuum sealer, you don’t need to freeze them first or use marinating canisters. All external vacuum sealers have a channel in the chamber to collect any excess liquid that escapes during the sealing process. Some models, like those made by FoodSaver, have a removable drip tray in the chamber to catch any stray liquid that escapes the bag while sealing. Although this feature isn’t absolutely necessary, it makes cleaning easier. Ideally, a good vacuum sealer should be able to accommodate a range of bag widths. For most home cooks, an external model with a 11- to 12-inch-wide seal bar is sufficient. Chamber vacuum sealers can hold a wider range of bag sizes, which makes them ideal for packaging larger cuts of meats, like roasts. Depending on how large the chamber is, it can also seal multiple bags at once. 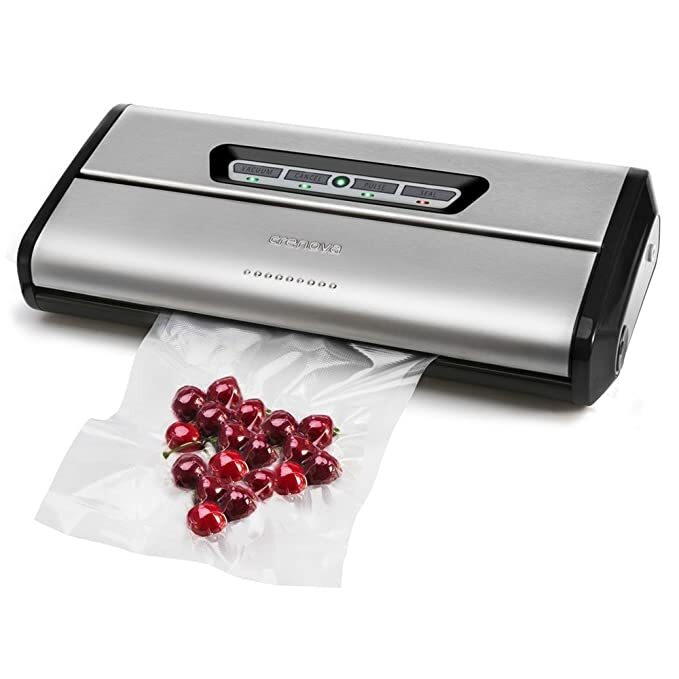 I like vacuum sealers with a dedicated slot for storing extra bag rolls and a bag cutter for customizing bag sizes (a built-in cutter allows you to size bags much faster than using scissors). While these features increase the overall size of the unit, I think it’s a reasonable trade-off for the added convenience. In general, external models will be much louder than chamber vacuum sealers: On average, most external vacuum sealers measure between 70 and 83 decibels (dBA)s, which is about as loud as a vacuum cleaner. 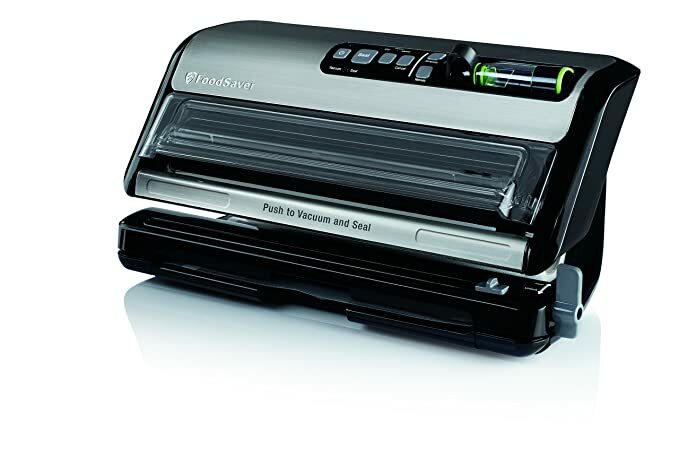 Vacuum sealers for home use can cost anywhere from $50 to about $750. In general, machines less than $100 have smaller motors, less vacuum strength, and fewer controls (like a pulse button for delicate foods). These cheaper models usually lack a built-in bag cutter and space to store the bag roll too. Models in the $100 to $200 range typically have larger motors, more vacuum strength, more control options (such as pulse, pressure, and cancel functions), a built-in bag cutter, and storage for the bag roll. Machines costing $200 and up generally have the same functions as models in the $100 to $200 range, but most of these machines have larger motors that generate more vacuum strength, which isn’t always necessary for home use. Some also have extra-long seal bars to accommodate larger bag sizes (in some cases, up to 15 inches). Cut the bag to the desired length (allow about 3 inches of space between the edge of the bag and the item you’re sealing). Place one edge of the bag over the sealing element and close the lid. Press the manual seal button to create a seal on the end of the bag. Open the lid and remove the bag. Cuff the bag to avoid getting moisture or food particles on the area you intend to seal. Place the food in the bag (if sealing meat containing sharp bones, I recommend covering them with a small piece of waxed paper or parchment so they don’t cut through the bag). Uncuff the bag and insert the opening into the chamber canal (be sure the edge of the bag is positioned beyond the foam gasket in the channel, past the Teflon-coated heating element). Close the lid and lock it into place. Press the vacuum and seal button and wait until the cycle is complete before removing the bag (you can also select the pulse button for delicate items). Remove the bag from the machine and check to see that it has sealed properly. The most important thing to remember when using external vacuum sealers is that you can’t package liquids. Most manufacturers recommend freezing liquids or liquid-based dishes––such as soups and stews––before vacuum-sealing to prevent them from being sucked directly into the pump, which could damage your machine. Too much moisture in the bag can also create faulty seals. Some manufacturers, like FoodSaver, sell Liquid Block Vacuum Seal Bags to prevent liquid from moist cuts of meat from creeping into the chamber area, but they’re expensive. You can place a folded paper towel near the edge of the bag to absorb liquid from the meat, but this results in a weaker suction. I find it’s best to pat the meat dry with a paper towel before adding it to the bag. You could also partially freeze the meat before sealing. If liquid does enter the chamber, use paper towels to remove as much of it as possible from the chamber channel before continuing to vacuum-seal more bags. The foam gaskets located above and below the perimeter of the vacuum chamber sandwich together when the lid is closed to create a tight seal for the vacuum. Avoid locking the lid in the closed position when the machine is not in use, otherwise you can cause damage to the gaskets. If the gaskets become compressed from prolonged closure, the machine won’t be able to create a proper suction. The Teflon tape that covers the heating element can also deteriorate over time. Many manufacturers offer replacement gaskets and tape, which are covered under warranty, or can they can be purchased separately by calling customer service. When sealing, be sure the bag is flat and free of wrinkles, which could create an improper seal. Remember, all external models require specialty quilted bags with channels that help to draw the air out of the bag. Never use smooth bags intended for chamber vacuum sealers, or the machine won’t be able to suction. It’s fine to wash and reuse bags, especially for pantry items like chips, nuts, or crackers. However, I’d err on the side of caution and use fresh bags whenever packaging raw meats. Tip: For best results, you should avoid sealing certain fruits and vegetables that naturally release ethylene gas because they can weaken the bag seal (see FoodSaver’s list of food to avoid sealing). Finally, when operating external models, most manufacturers recommend waiting several seconds (or up to a minute) between sealings to prevent overheating. One of the latest FoodSaver models, the FoodSaver FM5200 has two different areas for sealing. When you pull out a length of bag material and cut it, you make the first seal on the next bag at the same time. Then, once the bag is filled, you insert the open end of the bag into a slot to vacuum the air out and seal it. It also has an integrated attachment for vacuum-sealing special canisters, special vacuum zipper bags, or for using the optional accessories that seal wine bottles or canning jars, and buttons for wet or dry foods, canisters, quick marinating, accessories, pulsing, and instant sealing, so you’ll always use the right amount of vacuum suction. There is an integrated attachment for using this with canisters and accessories, and a drip tray to catch any moisture that might get sucked out of the bag during vacuuming. The FM5200 also comes with a starter kit that includes one 11-inch by 10-foot roll of bag material, three quart-size bags, two gallons-size bags, three quart-size vacuum zipper bags, and two gallon-size vacuum zipper bags. While it’s made to keep food like meat, fruits, nuts, and snacks fresh longer, you can also use the Crenova VS100 to keep things like papers and stuffed toys from getting dusty. It works in only a few seconds and is easy (and quiet!) to use. A few of its noteworthy features include a stainless steel case, LED indicator lights, and a flexible manual pulse function. The sealer even comes with 10 bags to get you started. 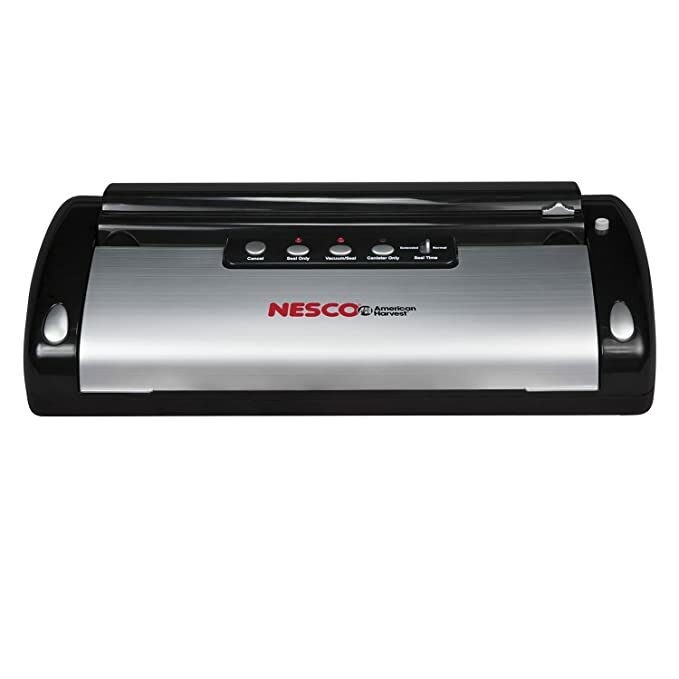 The Nesco VS02 Food Vacuum Sealing System With Bag Starter Kit has many of the features of more expensive vacuum sealers, but at a lower price point. It has integrated storage for rolls of bag material as well as an integrated cutter for making custom-sized bags. 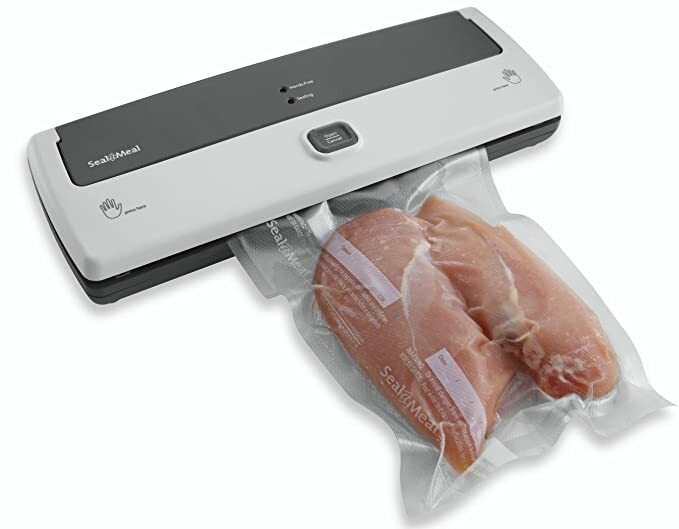 The Seal-a-Meal Manual Vacuum Sealer boasts a compact designed, indicator lights that show the sealing progress, and a removable drip tray for easy cleaning. This sealer can accommodate the standard-sized bags made by FoodSave and other companies, including 8-inch rolls, 11-inch rolls, and gallon-sized pre-made bags. The Geryon E2800 Automatic Vacuum Sealer doesn’t include some of the bells and whistles that the big boys do, but it does the one thing you buy it for – it vacuums and seals bags for freezing, food storage, and sous vide cooking, and it easily fits in drawers or cabinets in the kitchen. To get you started, the Geryon E2800 includes five 7.8 x 11.8 inch bags and one 7.8 x 78 inch roll of bag material, plus the manufacturer’s Lifetime Warranty and Support. It does not include a bag cutter or integrated bag storage. Have you ever watched a cooking show and coveted one of the chamber vacuum sealers that can compress watermelons, do a super-quick pickle, or vacuum-seal bags filled with liquids? You can certainly buy one, if you’re willing to pay the price—and if you’ve got space for a large appliance that you probably won’t want to move around a lot. While the VacMaster VP215 Chamber Vacuum Sealer isn’t for casual cooks who want to freeze the five pounds of ground beef that was on sale, it is definitely the machine for folks who know what molecular gastronomy is, or who want to freeze bags of tomato sauce, stew, and soup. Or for hunters and fisherman who bring home a lot of meat to be stored for the year. With its oil pump, the VP215 can be run continuously, and doesn’t need any cool-down time in between bags. The VacMaster VP215 has a ¼ HP rotary oil pump that can manage larger loads, and double-seals each bag, so the seal is twice as strong as those of other machines. Even with all it’s power and commercial parameters, this unit is quiet and easy to use. The reason that this machine can handle bags filled with wet ingredients is that the bags are place in the chamber and then the air is sucked out of the entire chamber rather than just from the bag. The pressure remains the same inside and outside of the bag, so liquids are not sucked out, as happens with other vacuum sealers. The chamber can also achieve a much stronger vacuum. Once the vacuum is achieved, the bag is double-sealed for additional security. 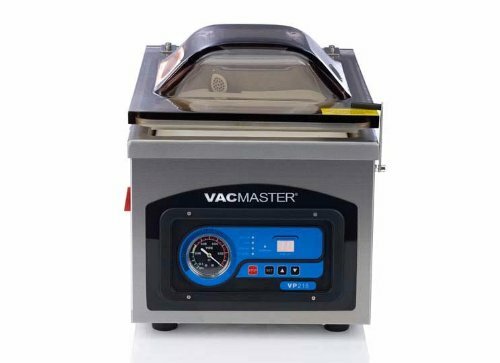 The VacMaster VP215 also works well for fine powders that might get sucked out of the bag with a standard vacuum sealer, and of course it’s great for normal vacuum sealing uses. The vacuuming and sealing can be customized for your requirements. The FoodSaver FSFRSH0055 has a charging stand, so it works cordlessly, so you can take it where you need it. Two vacuum zipper bags are included. This unit can be used for short-term freezing, just as you might use standard zipper bags for freezing, but for long-term freezing, the heat-sealed bags are a better option. More Uses For Your Vacuum Sealer! Vacuum-seal anything that tarnishes that you do not use on a daily basis, such as sterling silver flatware, silver trays and bowls. By removing the air, the items do not tarnish because the enemy (oxygen) has been locked out. This protects your silver things from harsh polishes and protects my time. I hate to polish silver. All of your commemorative and other coins can be safely vacuum sealed. This protects their integrity and collectable value. Because the bags are clear, you can seal them in a single layer, so their beauty is visible. If you do not wear it regularly, vacuum seal your jewelry—costume as well as finer pieces. It keeps these precious possessions clean, sparkling and at their peak of beauty. And when you’re ready to wear them, no polishing or cleaning required – they’re ready to go. If you have precious, antique photos, seal them for protection. Note: don’t vacuum the air out, but use the seal only feature so that the vacuuming process doesn’t cause transfer of the photo to the plastic. Open oxygen is the enemy of old paper. By sealing (seal only) family heirloom documents, you’re protecting their longevity. Use your vacuum sealer to create water-proof pouches for money, maps and more for camping or emergencies. Vacuum seal your family’s passports before putting them into the safe. This keeps them dry and mold-free (lots of moisture can show up inside a locked and sealed safe which is why just about everything in mine is vacuum-sealed). Ammunition needs to be kept dry. There is no better way to do that than with a vacuum sealer. Vacuum-sealing removes the oxygen and keeps moisture out. A simple way to do this is to take a vacuum sealer bag and fill it with loose ammo and then vacuum seal it. Store it in your bug out bag or ammo cans. You can also take a pre-filled magazine and vacuum seal it. Have I missed something good? Please share your ideas below! For many people, a vacuum sealer is a valuable tool for saving money on groceries, allowing them to buy items at a lower cost in bulk and in season, and then preserve them for up to five times longer than conventional food storage methods. Another benefit of vacuum sealing is that produce picked and preserved at its peak freshness tastes so much better than when it’s out of season, plus it maintains its nutrient content. Vacuum-sealing foods also helps protect foods from bacteria, humidity, and dust, as well as cut down on food waste. Plus, you can vacuum-seal foods that quickly oxidize, like avocados, so your guacamole will last much longer, and vacuum sealers allow you to experiment with sous vide cooking, and more intense marinading. 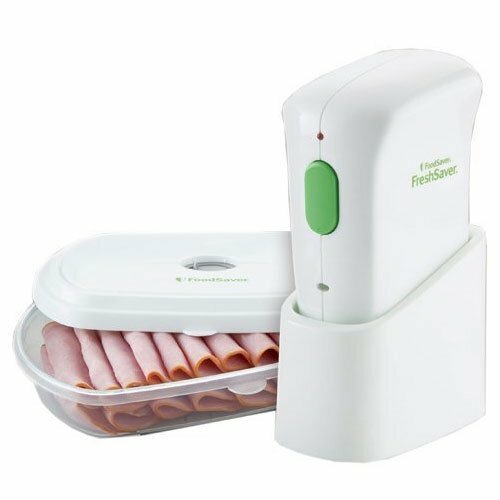 With all the ways you can use a vacuum sealer to save money, protect, preserve and prepare your food, a vacuum sealer is a great addition to your home! We have a food saver vacuum sealer and that thing gets used a lot !! From veggies to meats and fruits we are always vacuuming sealing, it helps your food stay fresher longer. We also have anova sous vide cooker and it has made life easier and tastier, steak and pork are so much better than on the grill. Thanks for your comment, Kelsey! We love our vacuum sealer, too! We’ve have a lot less waste and spoilage since we started using it!